Skyrocketing energy costs have spurred renewed interest in coal gasification. Currently available information on this subject needs to be updated, however, and focused on specific coals and end products. For example, carbon capture and sequestration, previously given little attention, now has a prominent role in coal conversion processes. This book approaches coal gasification and related technologies from a process engineering point of view, with topics chosen to aid the process engineer who is interested in a complete, coal-to-products system. 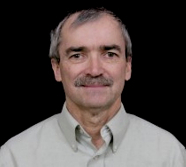 It provides a perspective for engineers and scientists who analyze and improve components of coal conversion processes. The first topic describes the nature and availability of coal. Next, the fundamentals of gasification are described, followed by a description of gasification technologies and gas cleaning processes. The conversion of syngas to electricity, fuels and chemicals is then discussed. Finally, process economics are covered. Emphasis is given to the selection of gasification technology based on the type of coal fed to the gasifier and desired end product: E.g., lower temperature gasifiers produce substantial quantities of methane, which is undesirable in an ammonia synthesis feed. 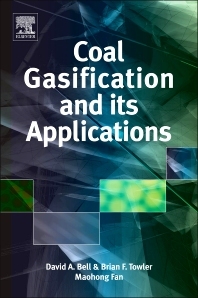 This book also reviews gasification kinetics which is informed by recent papers and process design studies by the US Department of Energy and other groups, and also largely ignored by other gasification books. Book was well written and covers coal gasification in depth. The book tries to cover the applications, but there only scratches the surface.